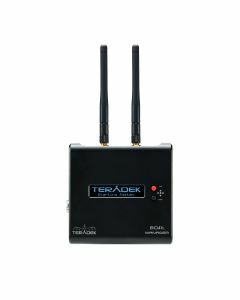 Teradek Bolt Manager Software helps you quickly configure your wireless video system without a computer. Bolt Manager helps you quickly configure your wireless video system without a computer. Perfect for rental houses, the Bolt Manager lets you rapidly pair multiple receivers, change wireless channels, update firmware, and configure regional settings during prep or on set. The 10K receiver operates seamlessly with any Bolt 3000 transmitter and includes an integrated panel array antenna, Gold-or V-mount battery plate, a 3G-SDI output, and a 3/8" screw hole for simple mounting.